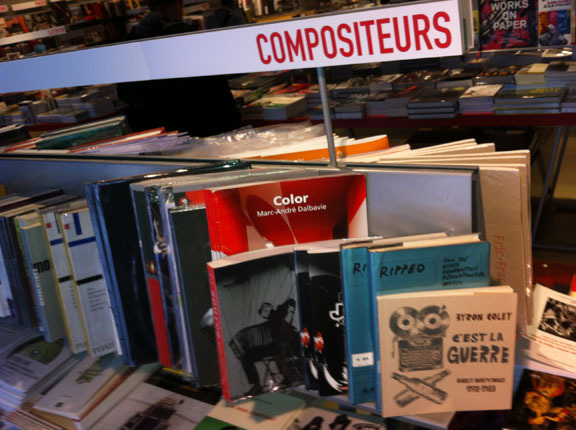 We've put out Byron Coley's C'est la guerre : early writings 1978-1983 in may last year. A lot of talk about it on the web in the US but very little press. Europe seems strangely more into inking the good news : first there was a great article in the Wire , there was also a nice word on it in Mojo. 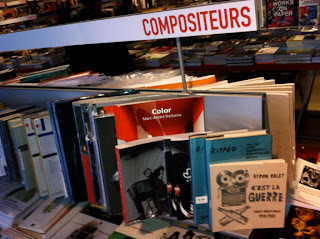 Now, it is in France (where the bilingual book is widely available only since november ) that the press is picking up. 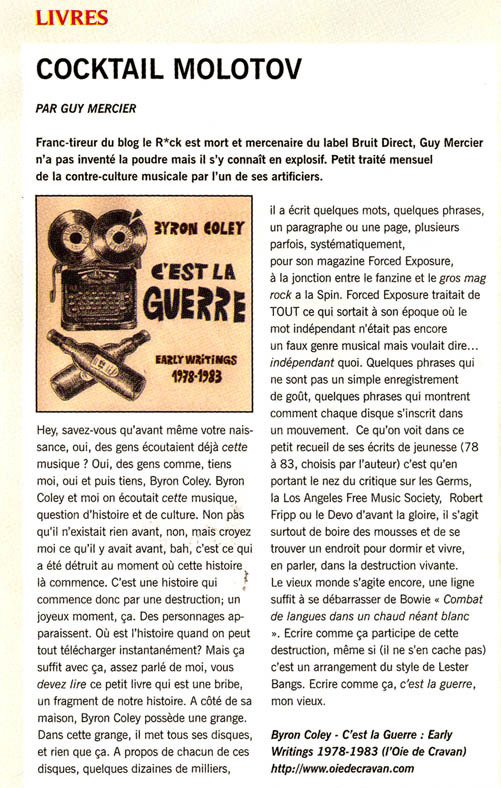 Check out Guy Mercier's great article in Paris' free cultural rag Balise (november 2011). 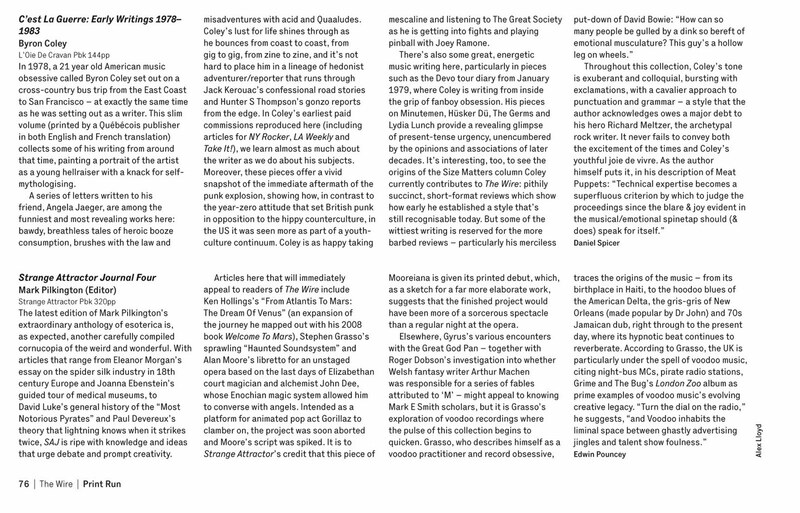 And, just this week, came out a beautiful little note in the new issue of France's foremost literary magazine Le Matricule des Anges ( january 2012). Blogs there are also buzzing over it but this, anyone can find. twenty-five years have gone by. 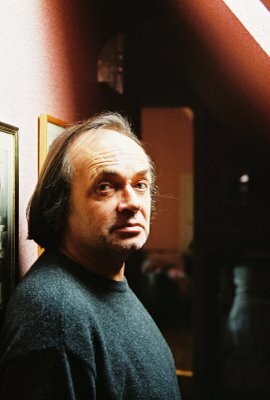 Pierre Peuchmaurd, Parfaits Dommages et autres achèvements.